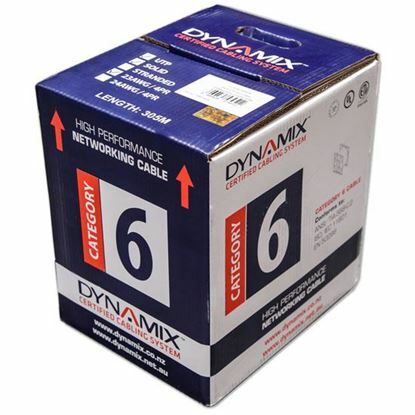 DYNAMIX 305m Blue 24 AWG Cat6 Cable Roll in a Reelex II box. 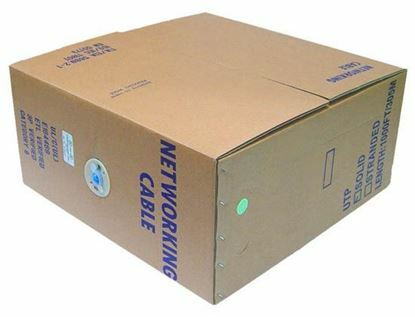 DYNAMIX 305m Blue 24 AWG Cat6 Cable Roll in a Reelex II box. 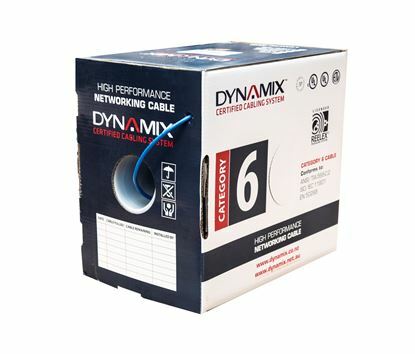 DYNAMIX 305m Cat6 Blue UTP SOLID Cable Roll, 250MHz, 23AWGx4P, PVC DYNAMIX 305m Cat6 Blue UTP SOLID Cable Roll, 250MHz, 23AWGx4P, PVC Jacket. Supplied in a REELEX box.